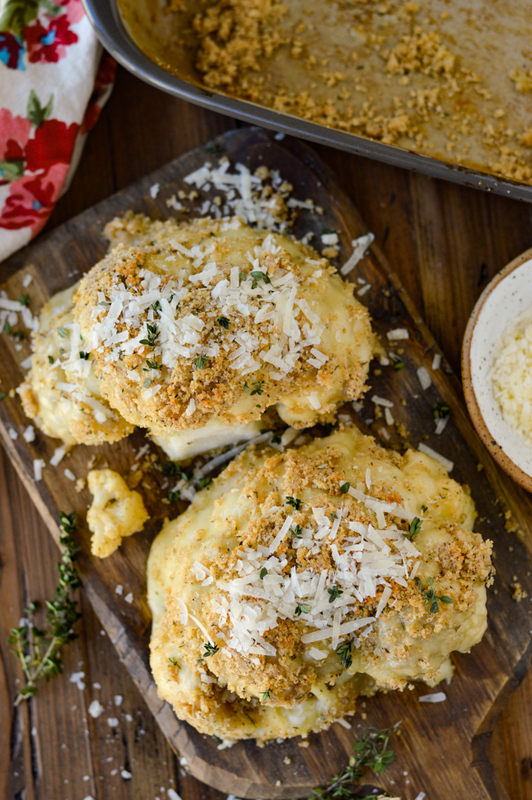 A delicious oven-baked side dish that is a gooey beautiful mess from plastering it with Brie cheese and coating it with parmesan breadcrumbs. 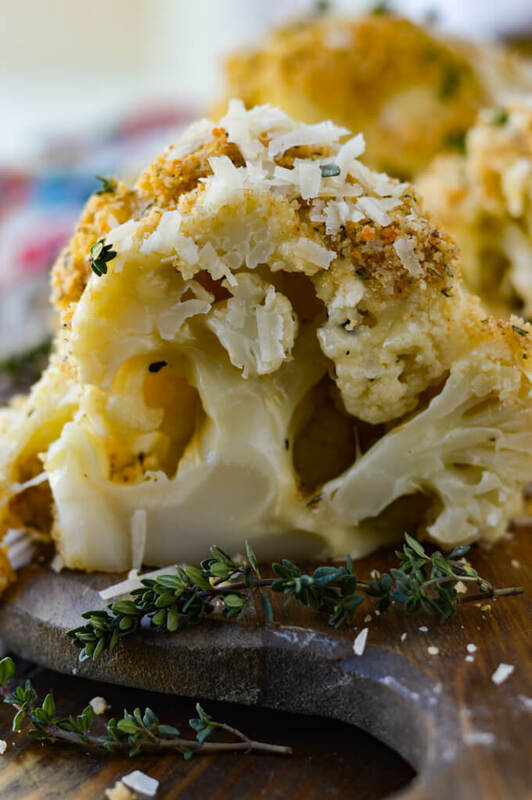 This Breaded Cheesy Cauliflower is loaded with flavor through and through. It sits perfectly confident next to any entree you place on the table. But actually, you can thoroughly enjoy this fantastic dish all by itself. 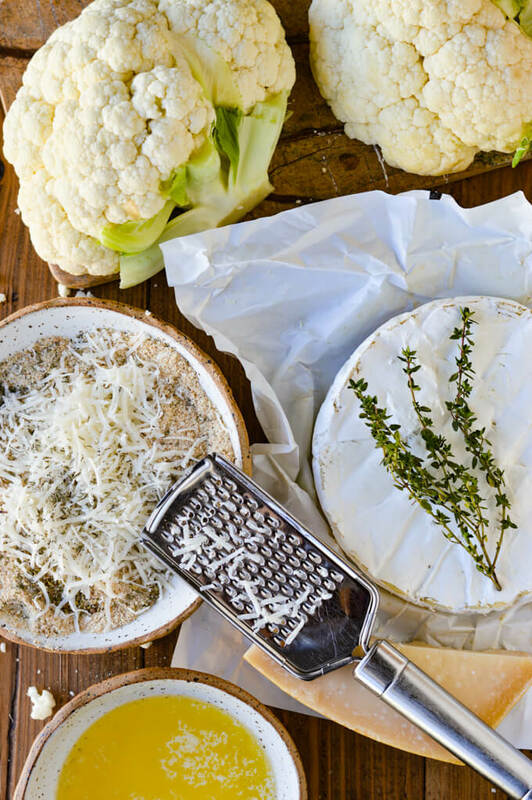 Who doesn’t LOVE an ooey, gooey cheesy “anything?” Brie cheese is what makes this recipe so incredible. 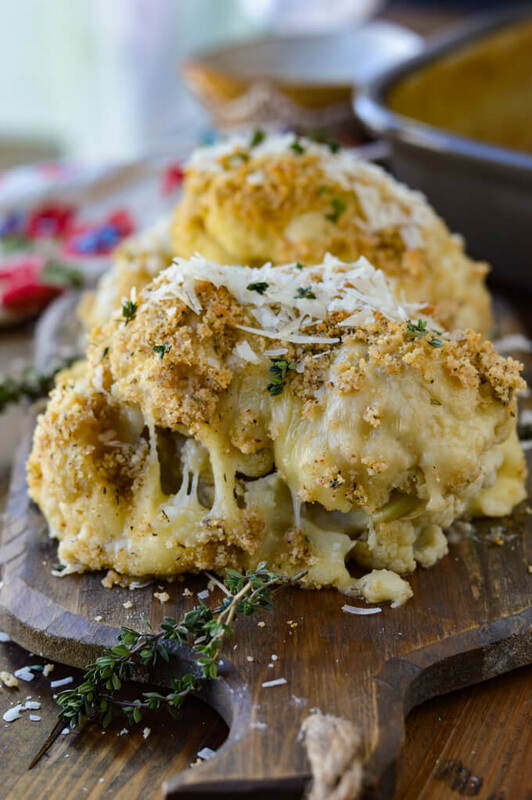 The cauliflower halves are smeared with this creamy luscious cheese and coated with a parmesan breaded blanket before it ever goes into the oven. An additional sprinkling of shredded parmesan cheese completes it. 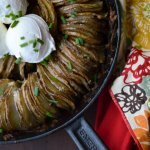 This dish has depth of flavor and texture. 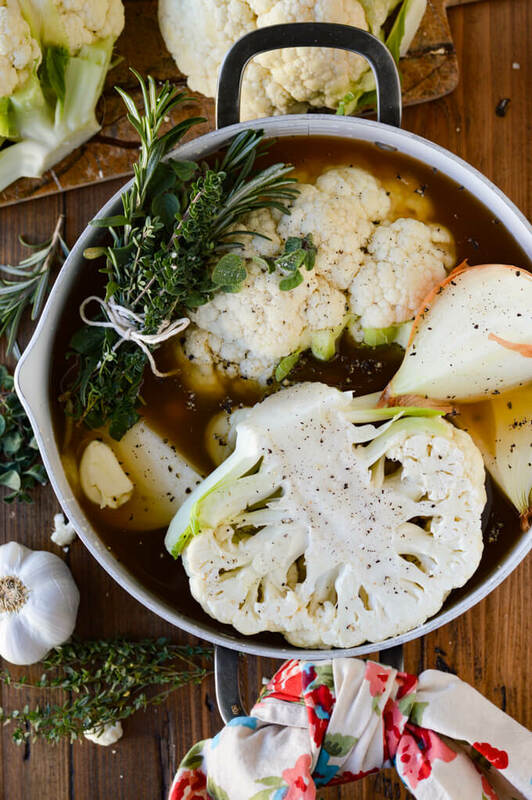 The flavors originate from cooking the cauliflower in a vegetable broth with onions, garlic cloves and a bundle of herbs until it’s almost fork tender. Then of course when you bite into this masterpiece, the mouthfeel is a soft and tender veggie, a velvety layer of brie cheese and a nice finish of crusty bread crumbs. 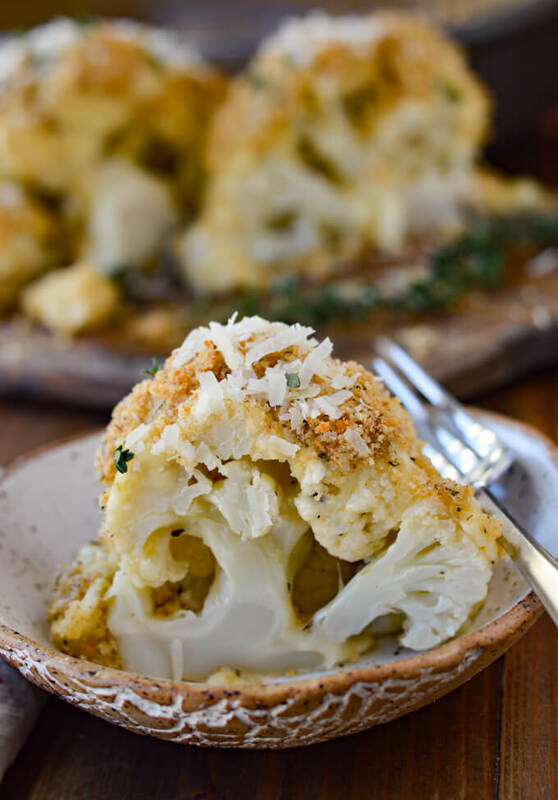 There are a plethora of recipes for cauliflower out there and this side dish brings a friendly variation of the admired veggie. 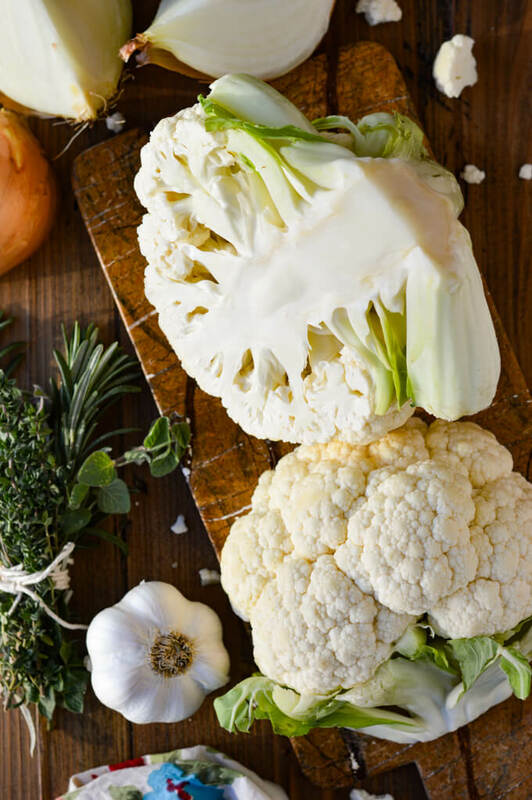 Cauliflower is everywhere these days, from cauliflower rice to cauliflower pizza crust, to mashed cauliflower. All of these I highly recommend. 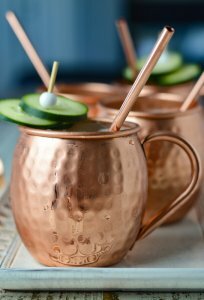 But I’m definitely partial to this recipe here. 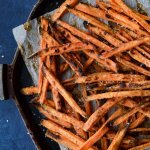 Simple ingredients compose a recipe that is both uncomplicated and quite easy. 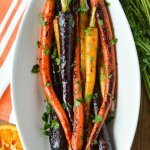 The prep time for this divine culinary delight is less than 15 minutes which doesn’t get much better than that in preparing any dish. 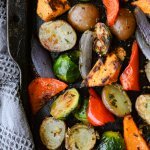 I’ve played around with a lot of cauliflower recipes, mainly because my husband is a full on keto freak. He religiously eats under 20 grams of carbs a day. He’s lost 45-50 pounds being so disciplined. Me … I like a brownie now and then. But I have the utmost respect for his determination. 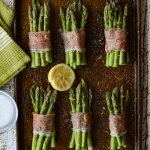 Some of the recipes you see here on my blog, I make a substitute dish that is keto friendly for him. 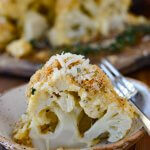 Take this breaded cheesy cauliflower recipe for instance. I left off the breadcrumbs for him and loaded it with shredded parmesan cheese instead. My downfall is that I wholeheartedly enjoy food in, pretty much, whatever form. So, being able to fully appreciate it, becomes my motivation to hike, bike or plop myself before a pilates video to work off the calories. Sometimes it works and sometimes, well, I eat another brownie. Where all the flavor comes from. Anytime you simmer anything in a broth that has onions, garlic cloves, and a bundle of herbs, you’ve just expanded the flavor times ten (in my opinion). The beauty of this step: there’s no need to peel the onion, just quarter it and throw it in the pot. Remove the papery outside of the garlic cloves, then smash and throw ’em in. Bundle a handful of your favorite herbs and (you got it) throw ’em in. The combination of these lovely elements soaks into the porous cauliflower. Yep! It’s magical. Preheat the oven to 325°F and simmer the cauliflower for about 20 minutes but be careful to not overcook. You don’t want it to become mushy. I took it out right before it became fork-tender because it returns to the oven for a final dose of heat. And it needs to be firm enough to withstand the pressure of smearing the cheese on it. Immediately remove the cooked cauliflower from the broth and let drain on a plate covered with paper towels until it is cooled. You’ll notice when you pull it out, the vegetable broth has discolored it a dull brown. Don’t be alarmed, you’ll never notice it once you plaster it with cheese and breadcrumbs. Brie Cheese has a nickname “Queen of the Cheeses.” If you’ve ever indulged in this luscious delight, then you definitely know why it carries that prestige. Back several hundred years ago, this creamy deliciousness was one of the tributes that had to be paid to the French Kings. 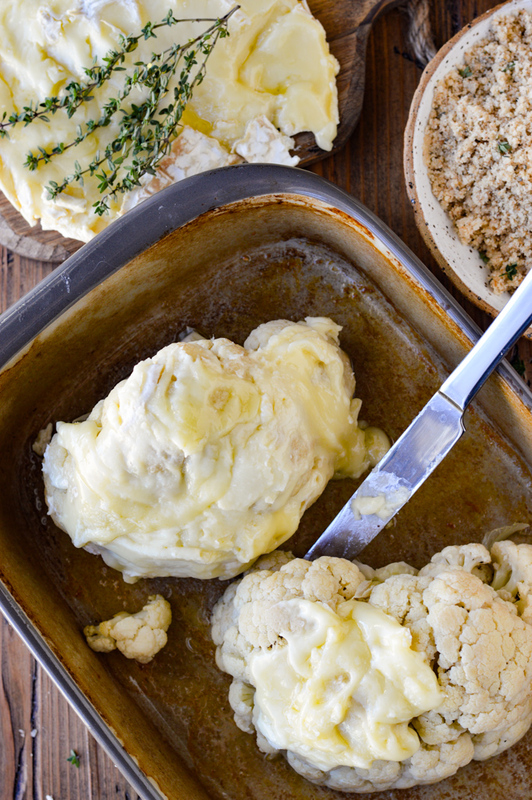 A soft cheese, such as Brie, is necessary for spreading on the cooked cauliflower. It helps to warm the Brie before you begin coating it. With a long knife, cut the top of the Brie completely through but leave it on the round. Place the entire round in a 325°F oven for about five minutes. When you are ready to spread it, remove the top and use a butter knife. If the cheese is warm, it makes the job so much easier. And this way you don’t damage the cauliflower itself. Coating the Cauliflower with the Brie Cheese and Breadcrumbs. There were two main reasons I wanted to smear the cauliflower with this cheese. First, The gooeyness adds yummy dimension to the finished dish. And secondly, I wanted something that the breadcrumbs could adhere to. 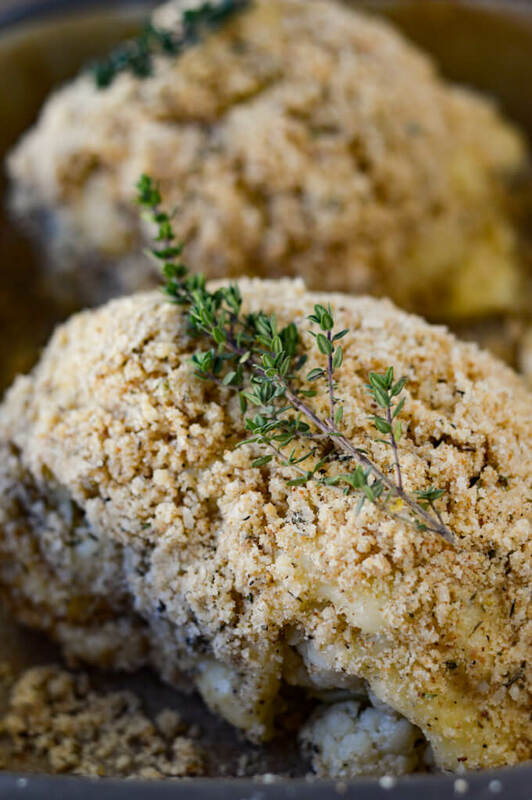 To add more flavor, I added dried herbs to the breadcrumbs. Melted butter mixed in helped the breadcrumbs stick together while I pressed them unto the cauliflower. You have to be willing to get down and dirty with your hands when working with the breadcrumbs and the cheese. As it falls off the cauliflower, just glob it back on. Some of the crumbs end up at the bottom of the pan … but no worries, plenty will stick. I suppose you could use the same technique with smaller pieces of cauliflower. But you would definitely increase your effort and time when working with them. It might give you more cheese and crust per bite, but honestly, I found the half head of cauliflower was plentiful in both of those things. For the finale, sprinkle some shredded parmesan over the top of each half along with chopped fresh thyme. So listen, it’s definitely not the prettiest presentation of a dish I’ve ever made. But what it lacks in beauty, I guarantee it makes up for in taste. From the photo above you can see all the components of pure goodness and delight that your taste buds will enjoy. Just a note; some of the cheese will slide down while it’s cooking, but not to worry. It’ll still all go on the same plate to be eaten in its completeness. I’m not saying this is the “healthiest” cauliflower recipe ever. Because honestly, it definitely is NOT. But I am saying, it is soooooooo worth the splurge. And like I told myself, the base of it is a veggie. So how can that be infinitely wrong? 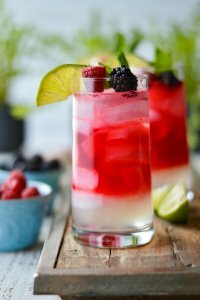 Kristy, what a creative recipe! I can’t wait to try this! I especially love your idea of replacing the bread crumbs with parmesan cheese. Thank you for sharing! Thanks so much Niki. 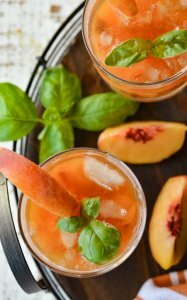 You definitely can make it Keto friendly. And could it possibly be wrong by adding MORE cheese as the coating? I think not! Have a great day. Oh wow. This is fabulous.I love how you poached the cauliflower in flavorful broth first, and then spread it with soft cheese. I’m up for anything cheesy, but this is really magnificent. I can see Taleggio as well… so yummy. Thanks! Thanks Mimi! It did turn out pretty dang good with all its cheesiness. Not particularly a “beautiful” presentation but definitely yummy. Thanks so much for stopping by!